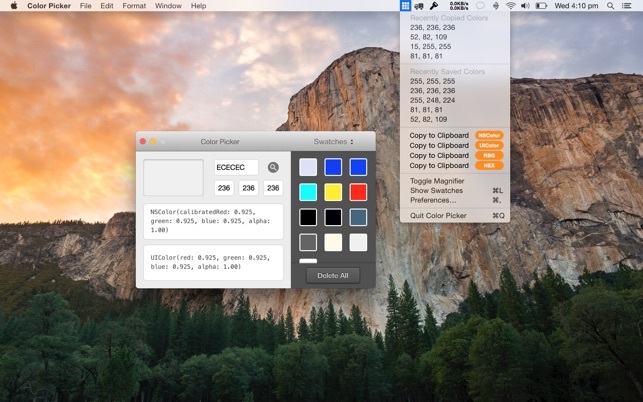 With Color Picker, you can choose any color from everywhere on your screen using the magnifier and selecting your desired pixel. 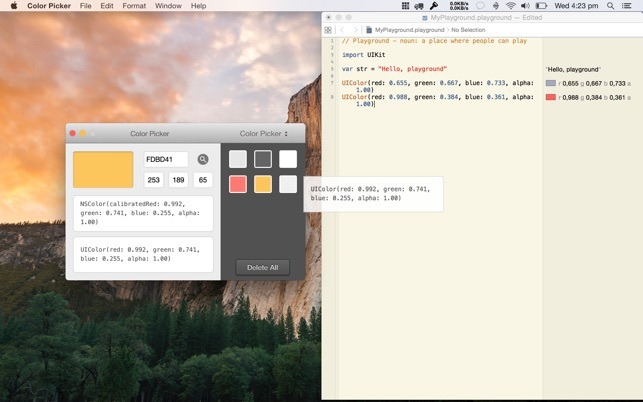 Then a preview of the color, its Hexadecimal, RGB value, NSColor and UIColor is displayed. You can copy the code with a single click, drag 'n drop or use the new shortcuts to paste it into your source code. 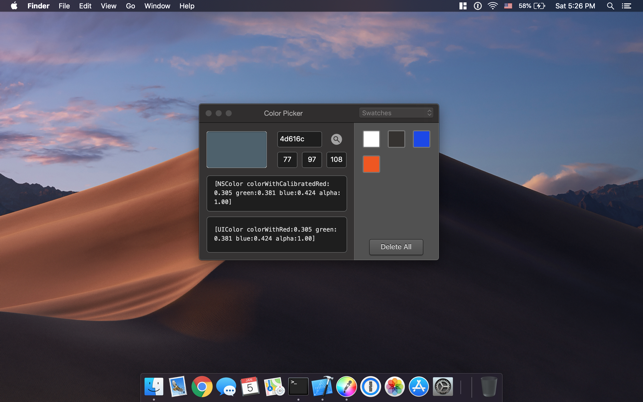 Color Picker has now become even better. 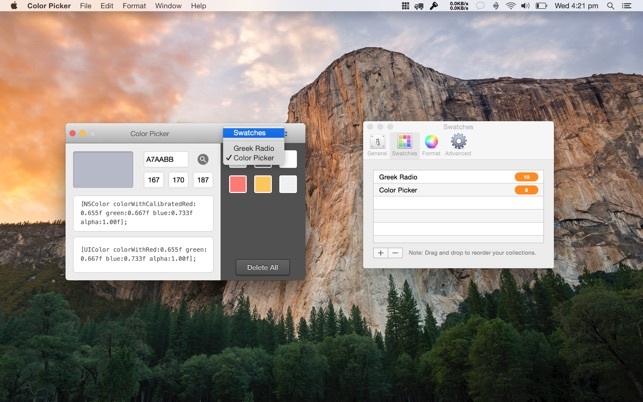 - With the new Menubar option, you can quickly access your recently copied or recently saved colors. Especially for developers is now given the chance of Zero suppression, where they can remove redundant zeroes from the float numbers, as well as appending a semicolon in the source code. 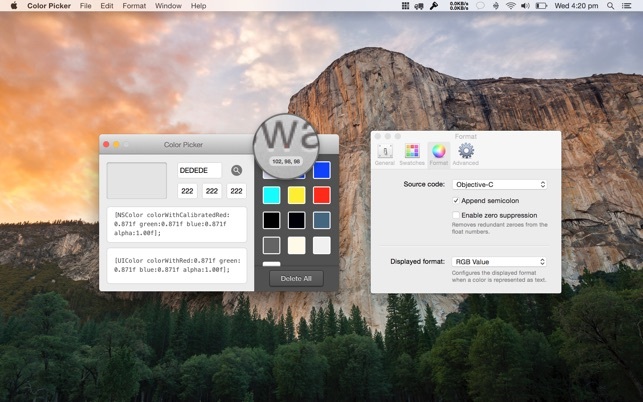 - Save as many colors in the library for future use. Visit our website to contact us www.nscoding.co.uk for anything you may need or wonder! Super kleines und tolles prgoramm. 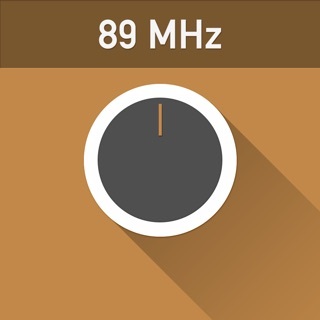 Wenn man viel im Grafik oder auch user-x-design-development arbeiet und nicht immer wieder schnell zum CI kommt, kommt man super schnell an seine benötigten Farben. Mit schnellen und easy to learn Kombinationen hast Du im Handumdrehen Deine Farbe! Super Dingen!